Home / Everything Else / Tips For Buying Soccer Cleats That Will Last Longer Than 6 Months! Tips For Buying Soccer Cleats That Will Last Longer Than 6 Months! Purchased EvoSpeeds on August 28, 2014 for my 16 yr old son. By the end of October the upper had started separating from the lower. The deterioration was rapid, within 2 weeks the cleats were unusable. The cleats cost $240 and only lasted 2 months! We’ve had similar problems with Nike’s. In our experience the only high end cleats that seem to last more than 6 months are Adidas. I’ve talked extensively to Soccer.com and local soccer supply stores. The common theme is “consumers are demanding light weight cleats which use thinner material and the thinner material is not be durable”. In my opinion, if cleats that cost over $200 should last at least 6 months. Consumers need to band together and let the manufacturers, distributors and retailers know that while “light weight” is important, durability is VERY important also. Otherwise we’re moving toward $300 cleats, endorsed by professional soccer players that only last a few games. That’s fine for professional players that purchase are given? 20 pairs of cleats each year – it’s not necessary for the average consumer. As you can see, there is a huge sense of frustration and I know this is a feeling that spreads right across the soccer community. What makes it even worse is the the current level of expectation placed on players to wear the next big thing, the flashy boots with the most intricate level of current day technology. There are several key questions coming from this comment and here is my take on each, with some extra commentary that I hope proves useful to parents and players. Note that we are gearing the post towards parents to help simplify our answers. 1. How long should a pair of soccer boots last? If you are going top tier, expect anywhere from a half season to a season. If your son/daughter is using one pair for training and games, you are looking at a much shorter lifespan. Realistically, they should have a back-up pair to get them through training and a game pair for when the action heats up. Mid tier boots will provide a longer lifespan as they use more durable materials that are not as thin and susceptible to tearing. 2. Should I purchase the same boots as Cristiano Ronaldo? If you really want to help your aspiring player move to the next level, they will benefit from having the same high quality boots that pro players wear. But it is absolutely not a necessity; they are designed to be lighter and in many cases, that means durability is placed to the side. Less material means a boot that is more likely to encounter tears early in their life. Cristiano Ronaldo, Messi and the rest of the pro crew are offered the opportunity to change their boots on a weekly basis (or as needed). Unfortunately, we don’t have that luxury and are left pushing the boundaries of their life span. 3. What is the difference between High and Mid Tier boots? High end retail around the $200, are designed using lighter materials and more technically advanced materials. Mid tier are retail around the $120 and in many cases offer a more durable product. They are basically the “conservative” boot that provide players with a more steady level of performance. 4. Why do brands continue to release super lightweight boots? Right now, brands are focused on creating the next best thing, and that is lighter, faster, more explosive boots. For a long time, durability was the key focus. But, the World’s best players are demanding ever better performing boots. In their case, price is not an issue as they are offered as many free boots as needed. And since aspiring players want to wear the same boots as their favorite players, the high price of lightweight boots will continue! Will we see a shift in the market at any point? It is not likely, but then again “Power” boots were all the rage less than a decade ago before the current trend shift. 5. How can I get true bang for my buck? 6. How should I approach buying a new pair of boots for my son daughter? 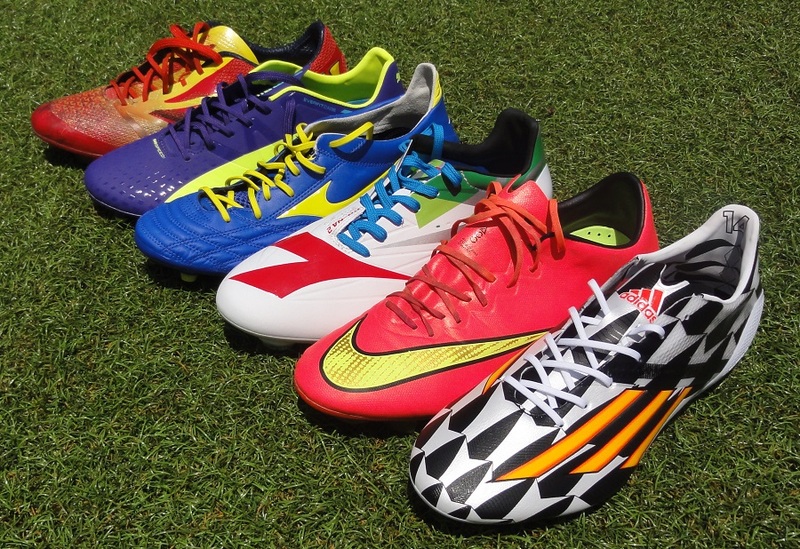 One thing that might prove beneficial is out “Complete Guide to Buying Soccer Cleats“. Make sure to read that over for more in-depth hints and tips for finding the right pair of boots! Outside of that, check reviews and another important piece of advice is reach out to other parent and coaches. Find out where they have had success and what boots are named positively most often. If there are any other questions that you have, hit up the comment section below and we will offer any other relevant info that we can! Over the last five years, my teenage son has used Lasers, Vapors, Predators, Magista Obras, Tiempos, Asics DS Lights and X-Fly Ks. All toes separate, especially if playing on artificial grass. Riveted toes (such as on the Asics boots) prevent complete separation, but Freesole is essential for repairing all of them, and regular maintenance and repair can keep them usable for 6 months or more. You probably bought a size or half too small for your son and they got ripped fast. I played one or two games a week, in the hard sand Vancouver fields, AG, FG, all over the city, after two years, my Umbro are still in perfect shape. Many salesmen at the shop don't play soccer and they often suggest to wear a size smaller to prevent slippery and injury but the true is you should get half or one size bigger to prevent injuries and blister. My feet grow a size after running 30 minutes, I always bought half size bigger, they feel like a loose handsake, but after 30 minutes they fit perfect. Had a blister once before for a perfect fit shoes at fisrt but not anymore. I agree with the tip about having a back-up pair for training and a game pair. In my teenage years, I played soccer often and I was going through my cleats because I wore them out pretty quickly. I will definitely keep these tips in mind for when my son is old enough to get involved with soccer. A pair of around $70 leather Umbro cleats will last for years. Look for ones with extra reinforced stitches around front toes and few small snap-studs on outsoles at heel and toe, they really hold the shoes good..I played in snows, rains, 36 degree heats with the same pair of Umbro for years. My have thick upper leather, padded under with memory foam absorb my shooting impact. I paid my less than $50 on sale. BTW, the cleats should be just half size smaller than running shoes or you will get blister, injuries and your feet and cleats will fall apart quickly.